Transparency and solutions are the foundation of my success, and I promise both to each and every client. While other lenders focus on feel good services, I focus on the financing. In an industry that hasn't had a great reputation over the past few years, I take pride in knowing that I've gained the trust and respect of my clients. In today's market the most important thing when obtaining a home loan is the mortgage professional you work with and the resources that they have at their disposal. Whether you have a simple conventional purchase, or a complex Jumbo transaction feel free to call me at anytime and find out why Watermark is right for you. "When I first called you, you told me you could lower my house payment by $300 per month without adding any costs out of my pocket or to my loan and it would take only a few weeks. I was skeptical based on my past experience with other lenders. That is why I was so amazed when it closed in just 10 days with no costs." "Regan provided us the confidence and level of expertise we needed to navigate a very quick 21 day closing on a home that posed many challenges. We appreciate the professionalism Regan exuded which made buying our first home in Manhattan Beach a huge success. 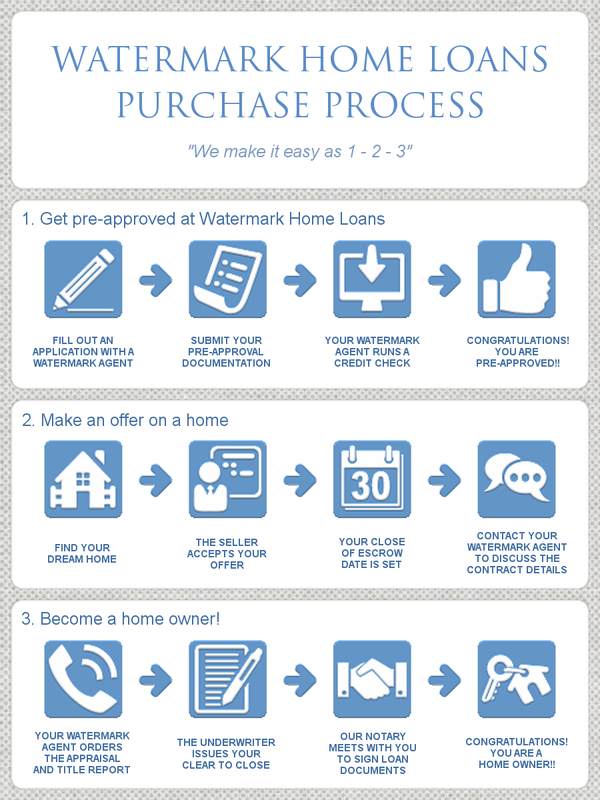 We highly recommend Watermark Home Loans to anyone looking for home financing." "We called Regan after seeing his ad in the South Bay Digs. His knowledge and professionalism made our loan process the smoothest and most efficient that we've experienced. In our situation, time was of the essence, and Regan made it happen. I will be recommending Regan to our friends and family without hesitation." "Your knowledge, experience, and willingness to go the extra mile really exceeded my expectations. It was awesome working with you and I will refer you to everyone given your experience with VA loans. I highly recommend Watermark and Regan for any any type of home financing that someone may need. Thanks Regan for everything!" "To get exactly the house we wanted we had to move very fast on our new loan and could not afford to lose even a few days. Not only did Regan deliver our new loan right on time, he locked us into a great rate and made the process so easy. Thanks, Regan for helping us get into our dream home!"